I was watching a commercial for an SUV the other day and laughed out loud at all the imagery they used to describe the vehicle’s capabilities: luxurious-looking date nights, kids hauling stinky sports gear, babies safely tucked away like chrysalises, and supremely messy, dangerous, off-road adventures. Will a family of 5 ever use the car for all of those purposes? But then it got me th inking about today’s learning management systems and all they’re capable of. Does anyone really understand the myriad ways they can use their LMS? In fact, the LMS could probably provide valuable support to just about every operation in your law firm! If you’re only using your LMS for a training program, or if you’re seeking to buy an LMS and need to convince upper management that you’ll recoup an ROI, then you’re going to love this article. If you ever see an HR professional banging his or her head on a wall, it’s likely that they just got another batch of new hires. They need to rev up the orientation machine all over again. An LMS could store all of their new hire materials, enable them to create on-boarding paths that each recruit must follow, deliver critical content on a predetermined schedule, test the new hires on their knowledge acquisition, and serve as a ready resource where new hires could quickly get their questions answered (versus pestering HR with questions they’ve answered a million times already). Every single one of your attorneys and many of your staff members must complete professional development training on a regular basis. You can work with partners who create those materials and load it onto your LMS, offering a convenient way for your team to earn their hours with as little down-time as possible. I recently partnered with a law firm that plans to use the SavvyAcademy LMS in a completely novel way: they are going to convert their entire library into digital files and store them on the LMS. The librarian will still manage the materials, continuously updating the resources to meet the firm’s needs. Not only are digital media cheaper than print, but now the space that once housed the books and other materials can be turned into revenue-generating office space. Increasingly, clients are demanding to see proof from law firms that their teams are up-to-date on the latest technologies and security protocols. This client expectation has enabled some firms to tout their tech and security prowess in their marketing materials. 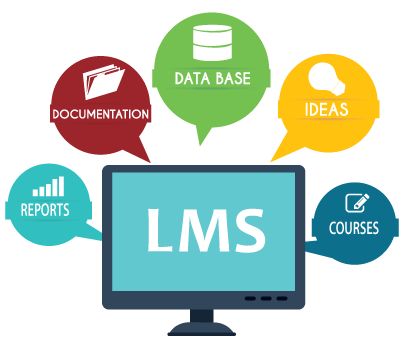 An LMS not only delivers the trainings that are required to achieve this goal, but also creates reports that firms can use in the RFP process. Seriously, you can import anything into your LMS and use it as a firm-wide repository of information and knowledge-sharing. It takes repetitive processes off people’s to-do lists, freeing them to think and act more strategically on the firm’s behalf. Returning to my SUV analogy… you can pack as much stuff into your LMS as you take on a family camping trip… and then more!